The thing about the Monsoon is that it means happiness and gloom at the same time. While the weather is uplifting, the dullness of the surroundings is kind of melancholic. I think the monsoons are inspiring. A boon to the creative soul. And as for the dullness, we can always add a little colour to our homes and our surroundings. The trick is to neutralize the psychological effects and impressions of monsoon with bright, cheerful colours while also making sure that you don’t go overboard with them. Your home should be warm and welcoming and not too loud. The combinations need to be subtle yet vibrant. Each colour that we see has an effect on our mind. Different people may associate a particular colour with a different feeling. While choosing the colour for your home, you should take care of the psychological impact of different colours so that your home becomes a pleasant place to be in. For monsoons, particularly, one should go for colours that exude warmth. Ideally, bright reds, oranges and yellows against neutral whites and beiges immediately have a positive impact. A colour that I also think of when I think of Monsoon is obviously, blue. 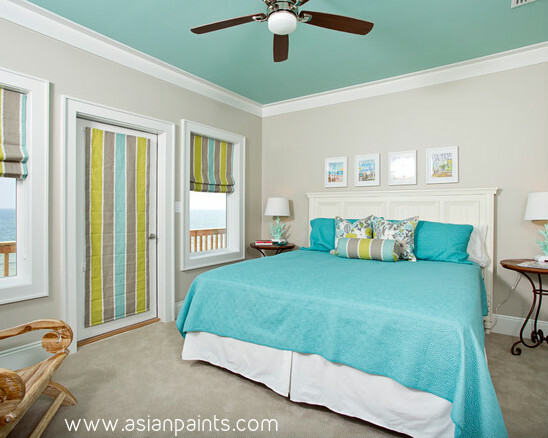 You can opt for 2-3 different shades of blue for a single room and play around with highlights and shadows; highlights being the lighter blues and shadows being the darker shades of blue. You can do this with any other colour of your choice. Red- Red instantly brings a picture of energy, warmth and excitement. If you ask me, it is the best colour for a happy home. Yellow- Yellow is the colour of creativity. It is one of the most positive colours in the universe. Blue- Blue is calming. Blue is soothing. However, it is a cold colour and should be used in combination with a warmer colour. Green- Green is the closest colour to nature and thus, it signifies balance. Green is also often associated with peace and can create a harmonious vibe in your home. Other than these basic colours, you can always try something unconventional. The colour dictionary of the world is ever expanding, with new, colours blossoming into dominant trends. For example, mint—a combination of blue and green is the perfect monsoon colour that is happy, bright yet, soothing. Subtle oranges with off white are comforting and stylish. 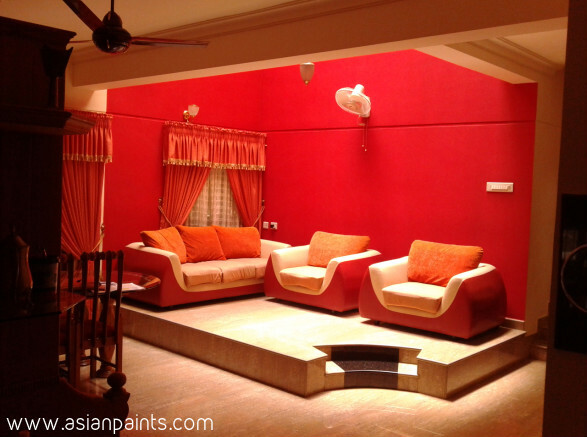 There are numerous options to play around with colour this monsoon for your homes. 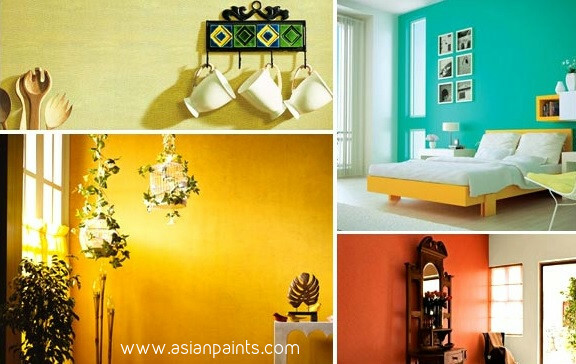 You can find your favourites using Asian Paints Colour chef—a wonderful way to discover what works best for your homes. Try it out here.